In addition to my blog, I have written for several sites around the web, including the NYTimes, PsychologyToday, YourTango and the National Register of Health Service Psychologists, FindaPsycholgist.org. For Psychology Today, I write about anxiety, and as an Expert contributor to Your Tango, I write about anxiety and relationship issues. I have also participated in special projects including two recent video series with noted love expert Helen Fisher, PhD, where we discussed maintaining healthy relationships and navigating stress in relationships. My work has been syndicated to Time, Huffington Post, MSNliving, PopSugar, FoxNewsMagazine, Yahoo Beauty, Yahoo Parenting, PsychCentral, eHarmony, ElizabethStreet and Care2. As a contributing writer to findapsychologist.org, I write about coping with adversity and life challenges, and was recently honored in the Psychologist Spotlight. 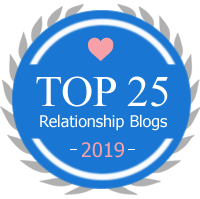 My blog has been selected as a Top 25 blog for relationships by OurDatingJourney.com. For my most recents published articles, click here. Writers, reporters, and producers approach me to lend my psychological expertise across a range of issues, and time permitting I am delighted to help by email, phone, or in person. If you are interested in having me help with a story or be a guest on your program, please contact me directly. I have appeared on local television broadcasts and spoken at four Annual International Leadership Retreats, the 2014 Achieving Optimal Health Conference in Washington, DC, and the Women’s Intelligence Trust (WIT) conference in San Francisco. I have has been cited in over 200 articles and publications, and my work has been featured in TIME, Huffington Post, MSNLiving, eHarmony, PsychCentral, YahooParenting, YourTango, Fox and more. To see my most recent interviews and speaking engagements, click here. For a review of my most recent quotes and citations, click here. Please let these topics serve as a sample of my expertise. If you have questions about coping with a life challenges, a relationship issue, or wellness topic, please don’t hesitate to contact me to discuss your need.